A few days ago we celebrated Independence Day here in the United States for the first time in 3 years. 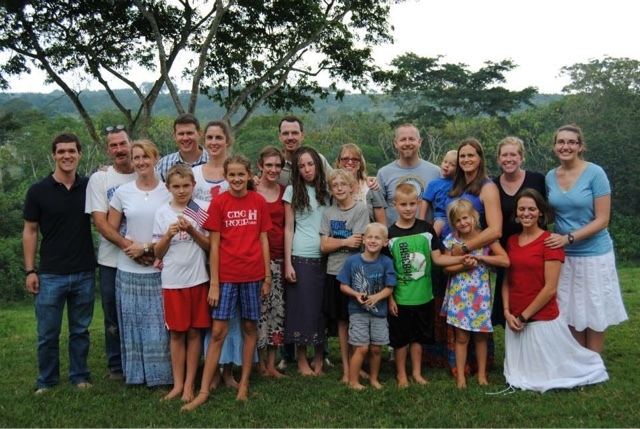 We left for Uganda on July 1, 2013 and arrived there just in time to celebrate with our new team. Here is a photo from July 4, 2013. 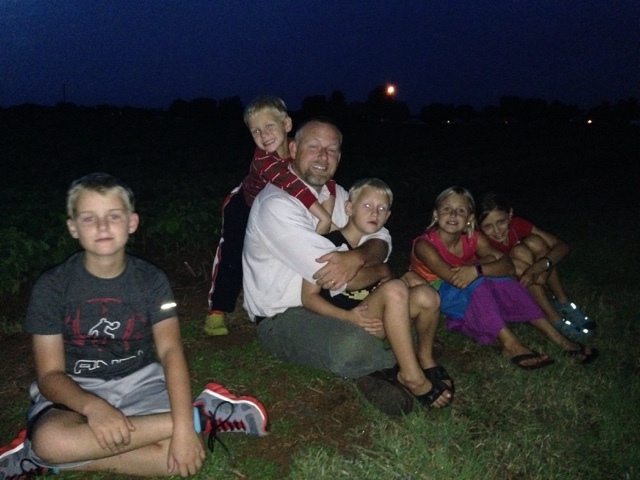 This year we spent the 4th of July back in the United States on our first furlough. Our youngest two children did not remember seeing fireworks, and they were completely amazed at the display here in Oconee County, Georgia. It was so much fun to see their excitement and hear their comments. We also enjoyed being able to celebrate with family and friends here. Below, waiting for the fireworks to begin. It is interesting that both countries in which we live celebrate a day of political independence from Great Britain, although the United States of America gained their independence almost 200 years before Uganda did. Recently I have been reflecting a bit about the concept of personal independence. I was the teenager who didn't call my dad when my car ran out of gas because I wanted to solve the problem myself. I am the woman who wants to carry the heavy objects on my own, thank you. When my car battery is dead, I want to prove to the world that I know how to use jumper cables without the assistance of a man. Stubborn, independent, persevering, strong-willed, proud, call it what you will. I have known for years that this tendency of my heart can be both a blessing and an area of sin in my life. I need Thee every hour, most Gracious Lord. No tender voice like Thine can peace afford. I need Thee, O I Need Thee. Every hour I need Thee. My one defense, my righteousness, O God how I need Thee.